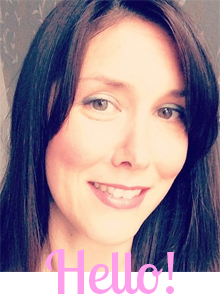 I ♥ Motherhood: WIN TICKETS TO SEE PEPPA PIG'S TREASURE HUNT IN LONDON! 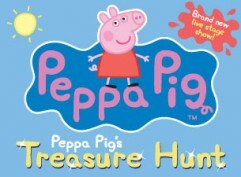 WIN TICKETS TO SEE PEPPA PIG'S TREASURE HUNT IN LONDON! A Christmas treat for Peppa Pig fans! I have 1 family ticket up for grabs to see Peppa’s theatre show, Peppa Pig’s Treasure Hunt, at the Criterion Theatre, London, this Christmas. The lucky family will see the stage production on Tuesday 18th December at 11 am. A family ticket is for 4 people, minimum 1 adult. In this new theatre production Peppa Pig and her friends set off on a treasure hunt. Peppa, her brother George and friend Danny Dog get up to fun and games on a day out on Granddad Dog's boat. There are clues aplenty as Pedro Pony, Polly Parrot and Zoe Zebra help them find their treasure as they all enjoy a day of adventure. Peppa Pig’s Treasure Hunt features true-to-life puppets, perfect sing-along songs and a new story that will charm and delight all her fans. Q: What’s the name of Peppa Pig’s mother? Competition will close at midnight on Saturday 1st December. Winner will be contacted shortly after and details passed on to the PR company. Peppa Pig’s Treasure Hunt runs at the Criterion Theatre in London’s West End 6 December – 6 January. For further information on the show please go to www.peppapiglive.com. No cash alternatives, accommodation or travel are provided in this competition. The tickets are non-transferable and only for the date mentioned above. I have also tweeted "I have entered to win tickets to Peppa Pig's Treasure Hunt with @iheartmuthahood"
Would love to win, both my children love Peppa!